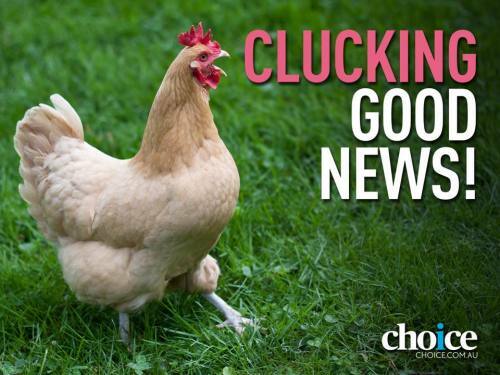 Choice Australia launched it’s Give a Cluck campaign just a few days before Consumer Affairs Ministers were to meet to decide whether to progress a national free range egg standard. Using our Target your MP action tool they were able to rally over 10,000 Australians to send a very clear message to the ministers. Aussies’ give a cluck about how our chickens are treated! This is what Choice had to say …. “Victory! Today Consumer Affairs Ministers agreed to develop an enforceable national information standard for free range eggs. Thanks for giving a cluck and supporting our campaign! This is the first step to making free range meaningful. Over the next few months we’re going to need to convince Ministers that the free range egg standard needs to be as good as possible to meet consumer expectations. Good one to Erin, Matt and the team at Choice Australia.